I remember it well: mid-December 2003. After 3 ½ years of increasing decrepitude, I was a couple of weeks away from finally being diagnosed with rheumatoid arthritis (and treated, thank God). I also had the flu that weekend. But at 3:15 a.m. on Sunday morning, I got the call saying that one of the new carriers was too scared to do her route in the snowstorm. I was needed. Duty called. Out I went to drive around for six or so hours in great physical pain, in a medicated state, in hazardous conditions, making deliveries. My friend Arthur commiserated with my suffering later. 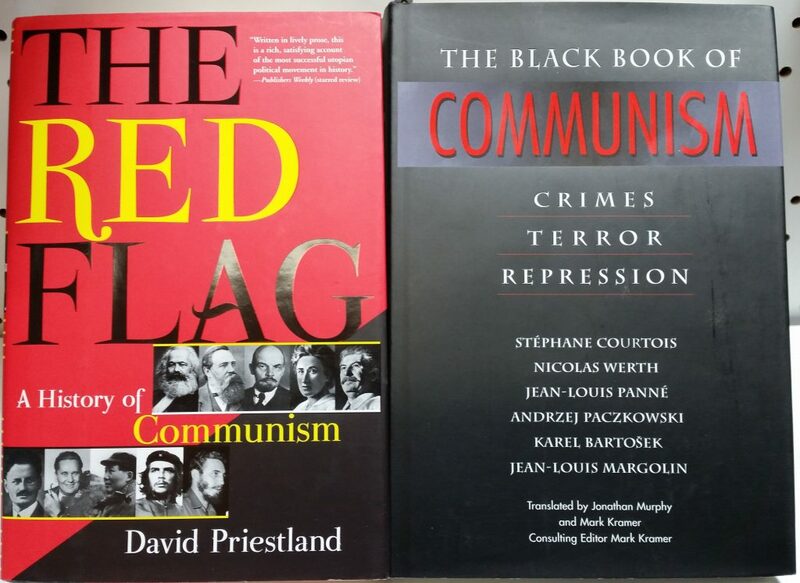 I replied that seeing as how the book I was then reading was Anne Applebaum’s Gulag, I didn’t feel like I had it so bad. “I swear, you’ve got to stop wasting your time on these bodice-busters,” he said. I picked these up last month. A volunteer was restocking the history section, and I saw the Black Book near the top of the banker box when she removed the lid. My face was an impassive mask, but anyone who looked closely might have seen the blaze of avarice behind my eyes lighting up my skull like a jack-o’-lantern. I’d never seen a copy at a sale before, and even used copies typically sell for around fifty bucks online. The rules are that no one can touch any of the new books coming out until the volunteer is completely done and has moved away; we don’t want elbows and books landing on anyone’s head during the scrum. A few fellow vultures had gathered around, attracted by the scent of fresh arrivals. We subtly angled for position, watching each other out of the corners of our eyes, trying not to betray our intentions while planning what to grab first. Finally, she finished and left. Quicker than a striking cobra, my hand flashed out and grabbed the Black Book. Kenny, who had been reaching for it as well, but from a less advantageous position, with a grunt and an index finger gesture signaled his grudging admiration for my having bested him in battle. However, he countered by grabbing the nearby Red Flag before I could. Curses! Am I too proud to beg? Of course not. As the proverb says, all is fair in book-buying. “Aw, c’mon, man, I’ve gotta have the whole set!” I relied on my chutzpah to carry the day; he could have easily noted that the exact same logic applied in his case. Thankfully, he decided that the sales rank/profit ratio wasn’t compelling enough, and he handed it over to me. Frankly, that was just a bonus; I already had my prize, and it only cost me two dollars. These sorts of books are one version of “memento mori.” Like Gulag, or Timothy Snyder’s Bloodlands, reading these is a salutary way to be grateful for comfort, grateful for stability, and grateful for abundance. There’s plenty of evil in the world, but there’s something especially horrific about evil utterly convinced of its own rectitude. It’s not that I feel like I need to learn anything more about the theory and practice of communism, but as the resurgent affection for Marxish sentiment among the chattering class shows us, much of life is about remembering things we already know but have dismissed as boring, uncool or outdated.